As a leading multicultural marketing expert with a niche in building marketing strategies and community engagement programs, Yai spearheads opportunities for Fortune 100 corporations seeking to develop connections with diverse communities. She is passionate about sharing her industry knowledge, as a public speaker, on various topics such as executive presence, personal branding, LinkedIn and female leaders in the workplace. Yai’s extensive corporate and agency experience in diversity, public relations and multi-cultural communications have allowed her to add tremendous value to the automotive, sports, non-profit, health and financial services sectors. With a background in Advertising and Marketing Communications, Yai’s work has always been based on multiculturalism and strategy. Her philanthropic initiatives include sitting on the board of The Latino Commission on AIDS’ Business Leadership Council where she consults on fundraising, social media and marketing. 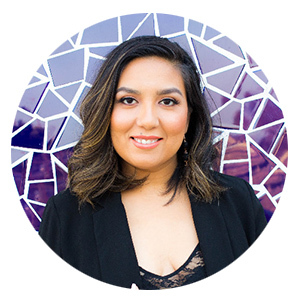 Yai has also successfully leveraged her education and professional experience to establish herself as a LinkedIn and networking ninja teaching others how to develop strong relationships and management skills. This includes establishing The Latinista where she gathers and empowers Latina professionals in New York City, Miami and Chicago to connect and effectively build community. Women entrepreneurs are key economic actors in New York City — building businesses that support families, uplift communities and generate jobs. Click here to view Yai’s mentor page for the City of New York. Book Yai and Bring your Events to Life! Here’s what Yai’s clients and partners say! Follow Yai Around the World! Sign up with your email address to receive news and updates about Yai.